A while back, a friend told me I shouldn’t sign my kids up for a secular soccer league because "Kids can be mean, and being homeschooled, your boys are not prepared to handle that." She urged I stick with a Christian soccer league. There are a several false assumptions in her statement. 2.) Kids are not saved through their parents' faith, therefore kids/teens at in a Christian community can also be very mean. I bit my tongue so hard it was bleeding, and I make my excuses and quickly left the conversation. 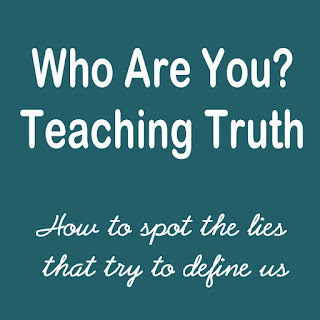 Later I thought of many appropriate responses, but in the moment I was so hurt and shocked by assumption about my children, ones she had taught herself in class, that I knew if I opened my mouth I would have said something defensive, instead of calmly correcting her false assumptions. Late that same week, we were excited to learn there was a set of twins on our street, fraternal girls who were a year younger than my sons. I was just inside our front room when I saw my son, Isaac, approach one of the girls as she and her sister wondered down the sidewalk into the front of our house. I heard him excitedly tell her his name and asked if she wanted to play tag. Instead of introducing herself, this young year old girl quickly made a chant of his name with the title "Stupid Isaac!" as her twin sister looked on laughing. She literally had never said a word to him, and immediately began teasing him. Well, you can imagine the temperature of my boiling blood. The mama-bear in me wanted to roar, but something made me hesitate. I stood just inside the front door because there was a curiosity building in me to hear how my homeschooled son would respond to this undeserved insult. Sometimes I wonder if homeschooling is making my kids soft, not exposing them to the harshness of this world to “toughen them up”. This interaction helped me see again how God does not teach through lies. Isaac very quickly identified the idea of him being "stupid" as a lie, because knew the truth of who he was. This is not a homeschool versus public school post at all. This isn't event exactly a parenting post. It is a human post. 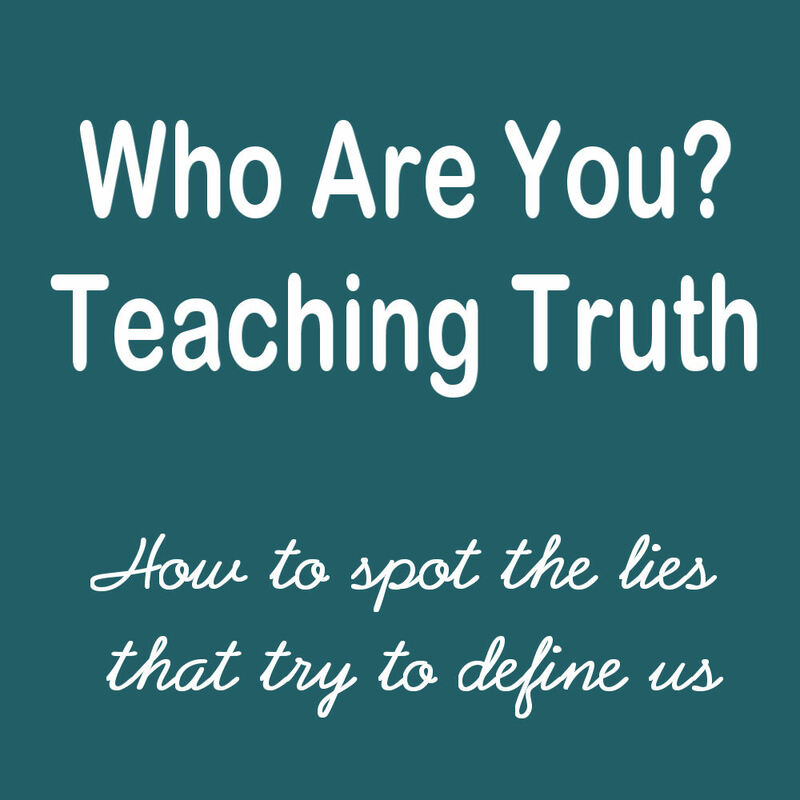 How are we teaching our kids, and ourselves, to spot the lies that the world tries to define us with? What is our map, our compass? Are we looking at a map only with the dangers of life, and saying “avoid these”? Big DANGER signs that say KEEP AWAY, and TURN AROUND. Maybe we should be looking map that warns of troubles and dangers of the journey, but the true destination if the focus. The “X” marks the spot if you will; The X is the key, the goal, the motivation for going through the dangers and troubles on the road. The X , the destination, is the truth. The X is who you are, and who God want to make you into. The lies are the obstacles on the way there, but focusing on them will only steal of our focus. I think it a dangerous road to walk to believe that that by encountering lies on an everyday basis, it will somehow prepare our kids, and us, to see the truth. Growing up in an emotionally abusive household taught me the opposite is true. When you are told lies about who are, you don’t magically find truth about who you are because you have become “toughened up”. B.) form a protective wall where nothing can get in, truth or lies. Please see my heart in this, and do not take more than what I am saying. I am not a helicopter parent, majority of our days my kids spend hours outside with the neighborhood kids, playing who knows what until they are reluctantly called in for dinner. I am not saying to shelter to the point of co-dependency. I AM saying that lies are not fought by more immersion in the lies. Lie are fought with truth. We learned later those twin girls do not actually live on our street, but after school walk to their great-grandmother's house 3 doors down from us until their mom gets off work. After this first meeting, for the next few years, whenever it is warm, she and her sister, and little brother would come play tag at our house. In that time, I have heard my boys share the golden rule with the sisters while they were fighting, share the fact they were Christians, and invite the girls to church. One day, Isaac asked if they wanted to hear something from the Bible, and he read to them from John for five full minutes, then they went and played tag again. It hasn't always been roses. They didn't have the same rules as us and lived a very different family structure, but through many kind and consistent corrections, the girls now know what to expect when they visit. These girls who began our relationship with rudeness and demanding behavior (i.e. "Get me water!") now ask kindly for drinks of water. When I weed my garden, they ask if they can help. My husband always says "Kids will rise or fall to an adults' expectations". I expected more of them when they are my house, and they have risen. As they get into middle school years, they spend more time at the others girls houses, growing out of tag, but I am thankful for the time they spent at my house. For the years we were able to show them the truth of who I believed they could be.